Ah, Valentine’s Day. So many ways to say you care. All kinds of ways to rack up $42.00 buying cards. 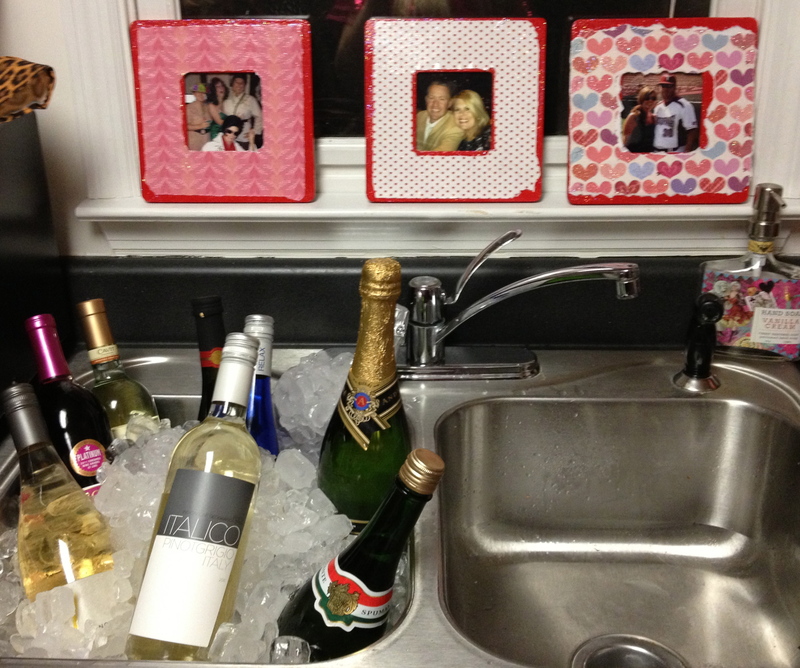 Skip Hallmark this year and make your own keepsake for anyone that you love (or kinda like). Minnie Pearl + Reba + Dolly Crockett + Elvis = LOVE. Hosting a recent party, I needed decor but couldn’t spend a small fortune sprucing up my mini manse. I decided that favors masked as decor would be the perfect productions for the party and double as Valentine’s Day treats for my girlfriends. 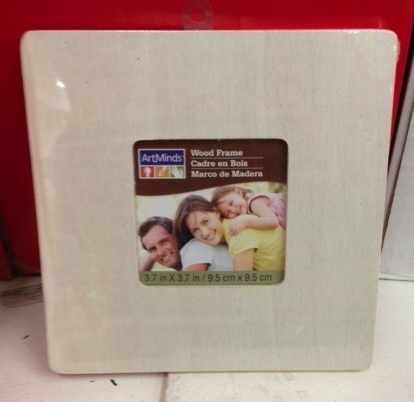 Plain wooden frames you can find at any craft store. Acrylic paint of your choice. 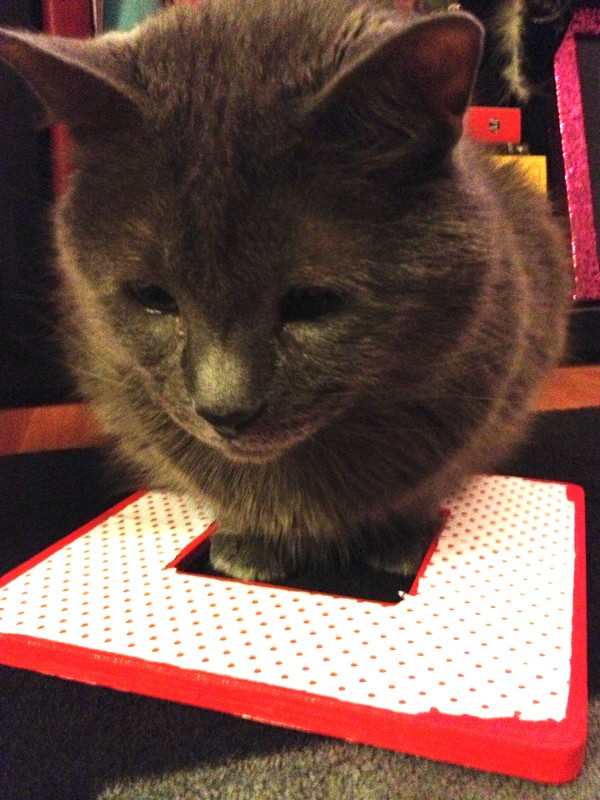 One piece of scrapbook paper per frame. Frames, Michael’s. $1.00 per each. 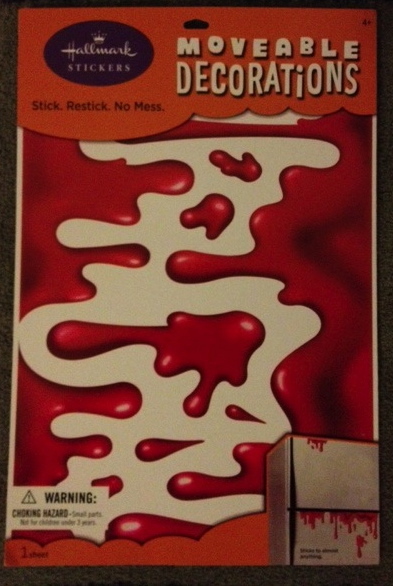 To begin, lay down a plastic covering (not paper – trust me on this) over your work space. Trace outline of the frames onto the decorative paper. 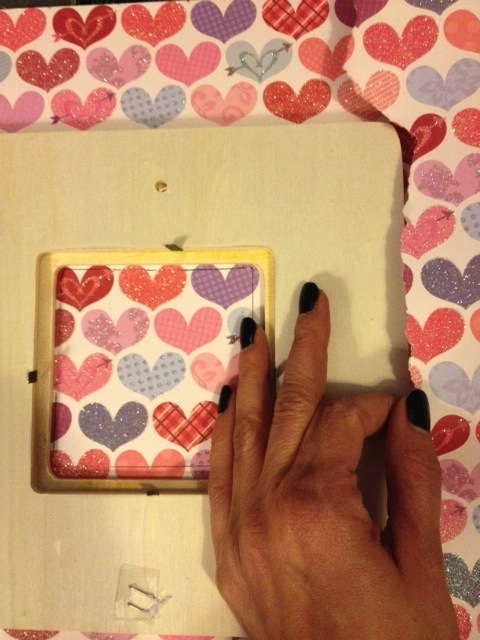 Lay the frame down flat and tear along the edges (a ruler can be used in place of the frame when tearing). The middle can be tricky and I typically cut slants with scisscors to get a section started. 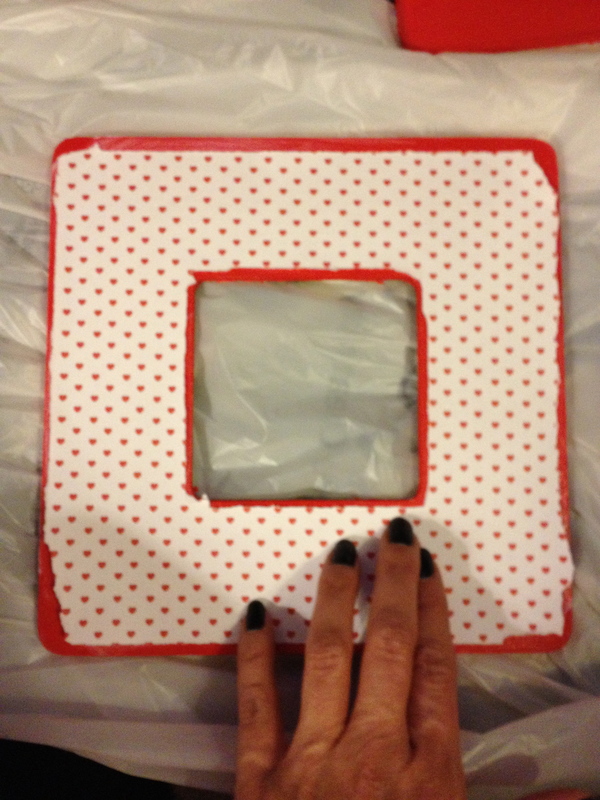 Set paper aside and paint the frames (I use gloves so as not to mess up the mani! Jewels, not tools. OK?). 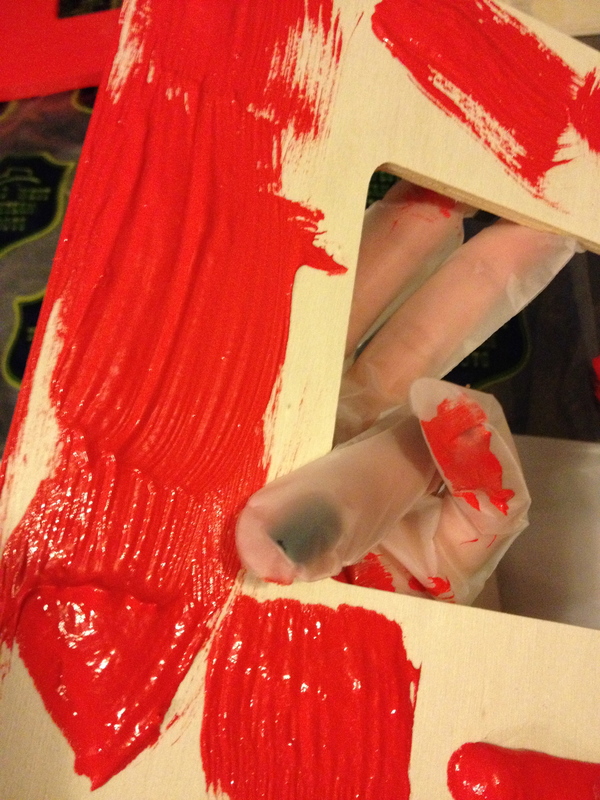 One thick coat of paint typically does the trick for me because I tend to choose bright colors. I only paint the front and sides of the wood but you could do the back as well (I have no patience, as it takes longer). 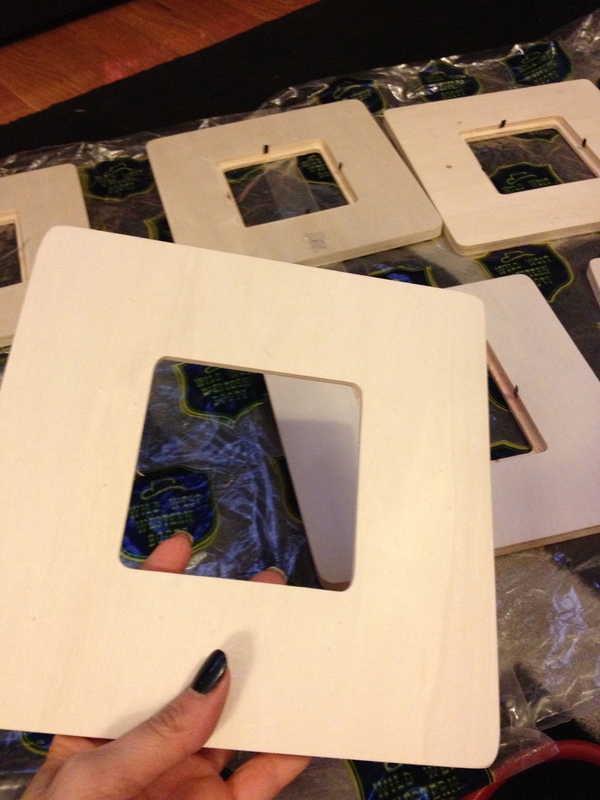 Once the paint is completely dry, put one thin coat of Modge Podge on the front of the frame. 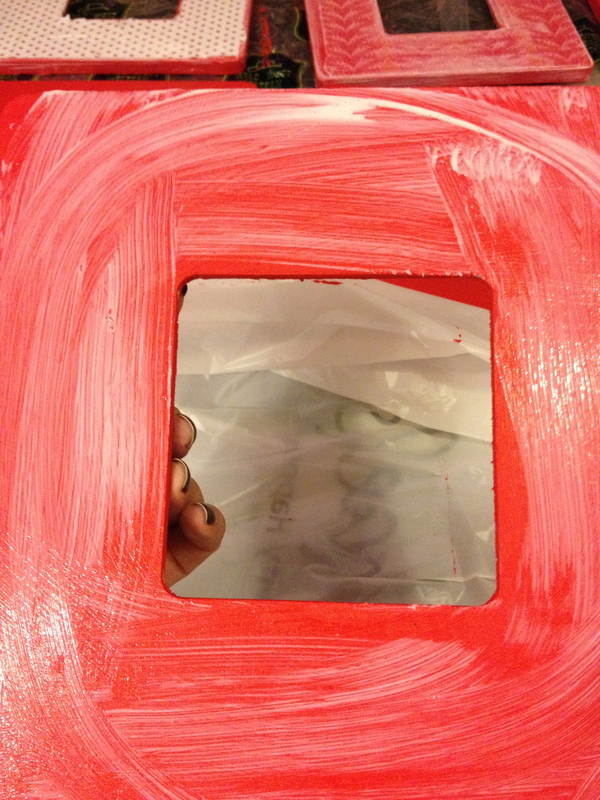 Carefully lay the paper onto the frame, starting from the center (this will help alleviate air bubbles) and press down firmly in small circles. 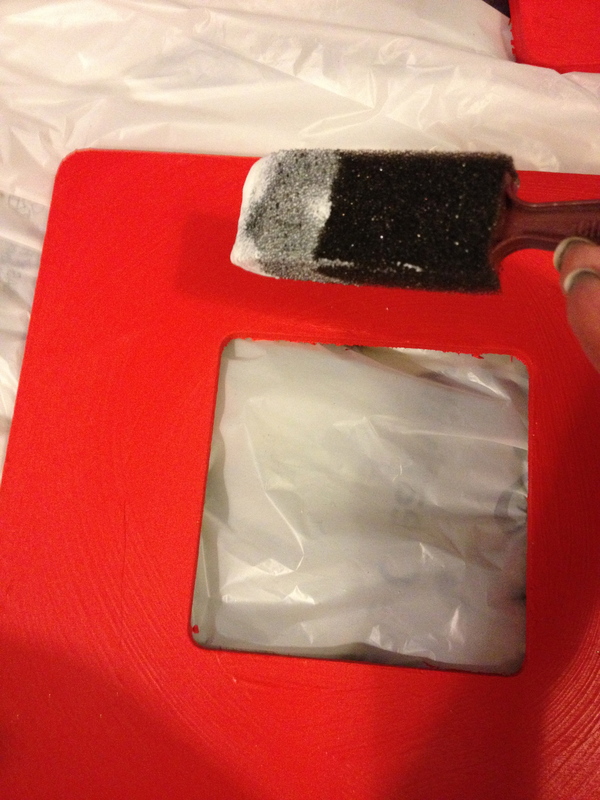 Once the paper is in position, add another coat of Modge Podge (I use the one with a little glitter, of course) over the entire frame, sealing in all of your hard work. 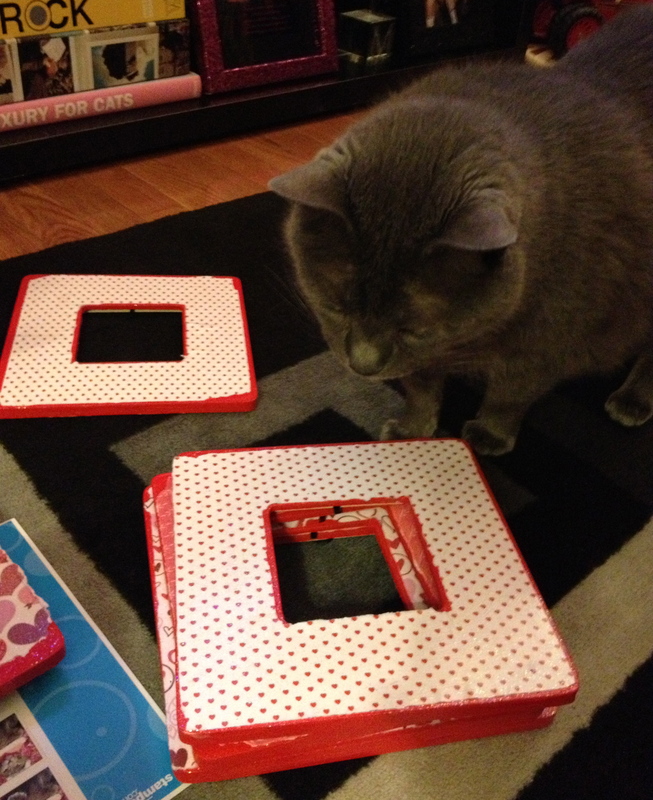 Have your frame expert carefully inspect your masterpiece. 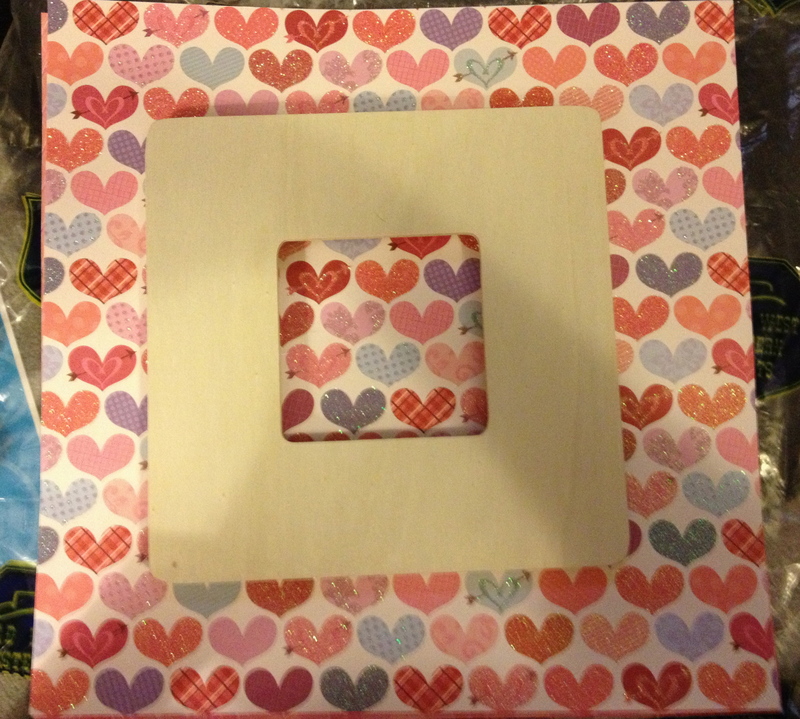 Once frames are completely dry, insert a favorite photo. Then let friends bask in the glory of their one-of-a-kind artwork (or maybe that’s you basking in your glory of frame making. Whatever). 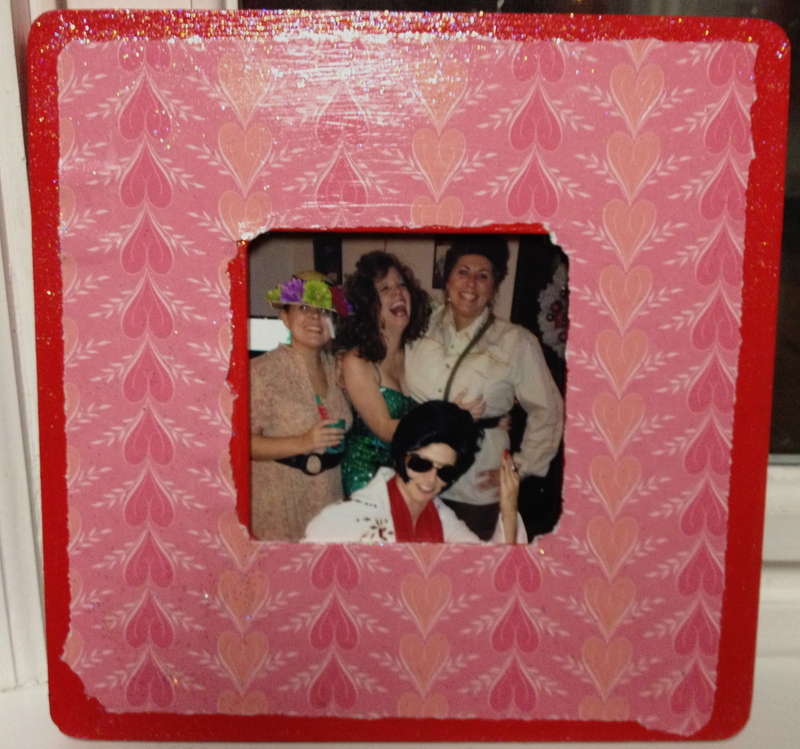 Who needs a Hallmark card when you can have a $3 frame labored in love? 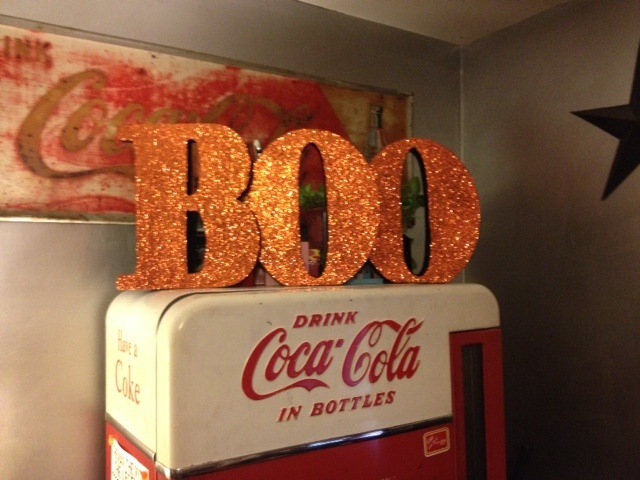 I am a decorating fanatic. 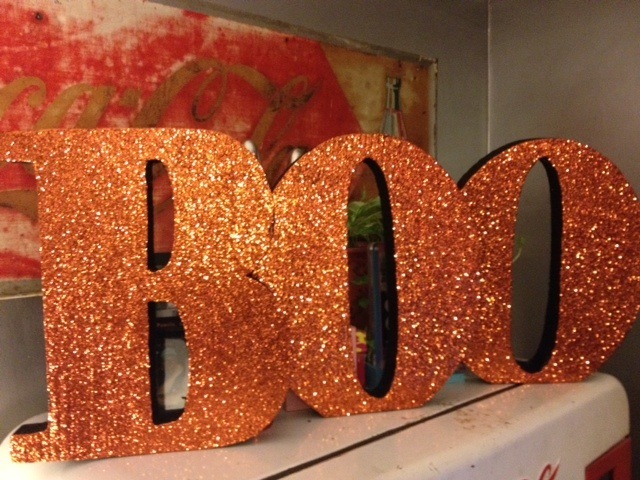 Like, I want to get my Halloween decorations out on August 1st enthusiast. I’ve had larger living spaces in the past, complete with mantles, stairways and built-in bookshelves. Now that I have down-sized, I can’t cram all of my holiday decor into 700 square feet (well, I could but you’d be calling Hoarders). Happy HallowThanksmas! 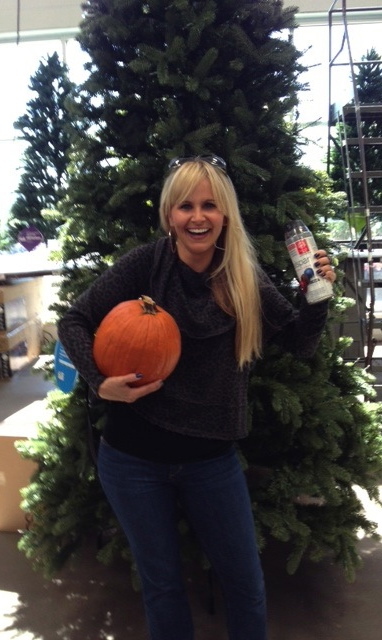 Stocking up on Halloween craft essentials while perusing the Christmas trees at Home Depot. Heaven! 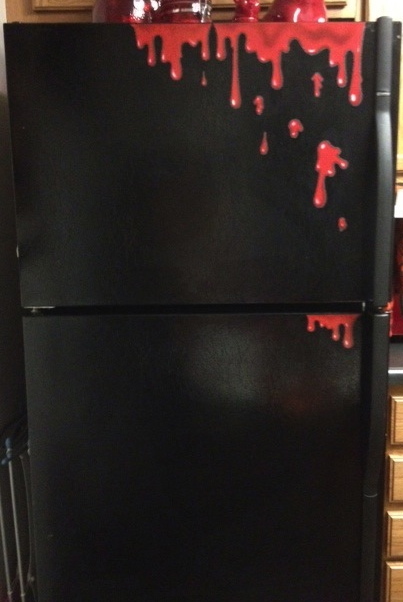 I stuff crazy ex-boyfriends in the freezer with a little help from Hallmark. I have a freezer and I’m not afraid to use it. I continuously switch out seasonal candles on my entertainment center. This is candle stays put all year round, of course. A gift from The Label. 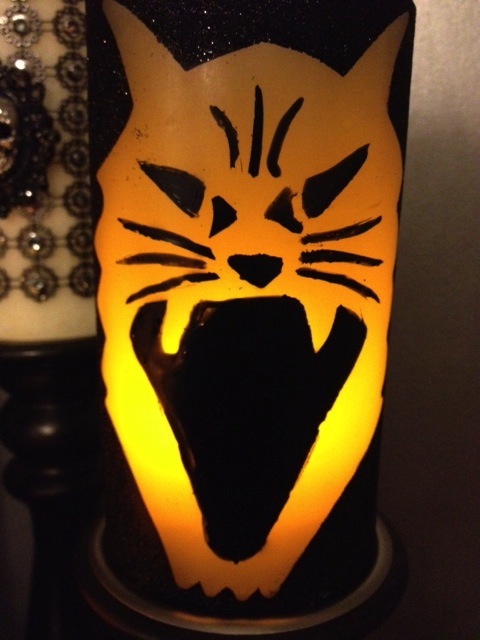 A flameless ferocious feline (Ted’s favorite decoration). 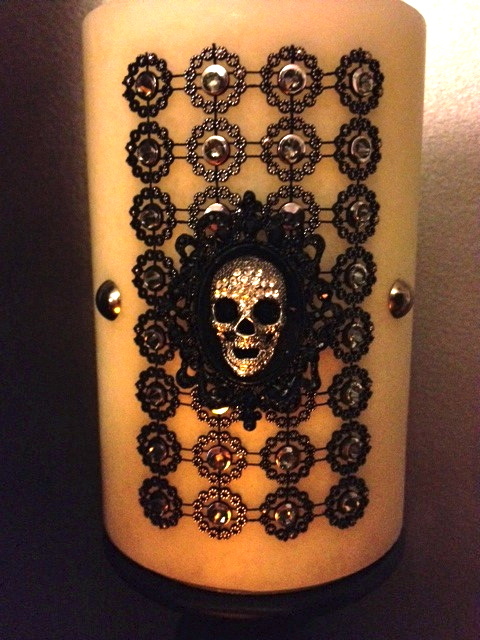 Battery powered candle, TJ Maxx, $3.99. Having a small space doesn’t mean you can’t decorate with big pieces (at least for me it doesn’t. Especially when they involve glitter. Then my motto becomes the bigger the better…). Letters, $20 for the set, Hallmark. 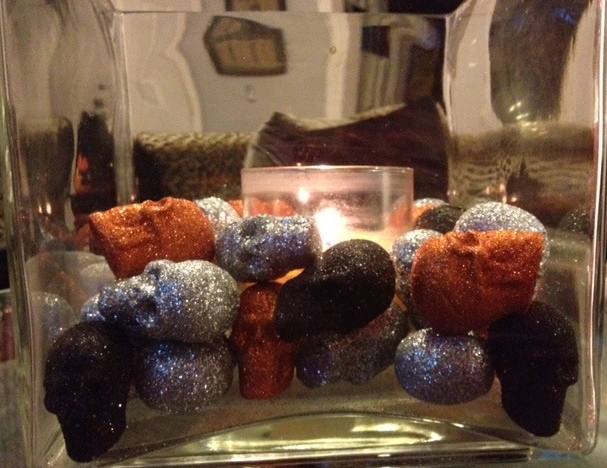 A square-cut hurricane candle holder sits on my coffee table that I update with holiday decor. Tri-colored skulls. $9.99, TJ Maxx. 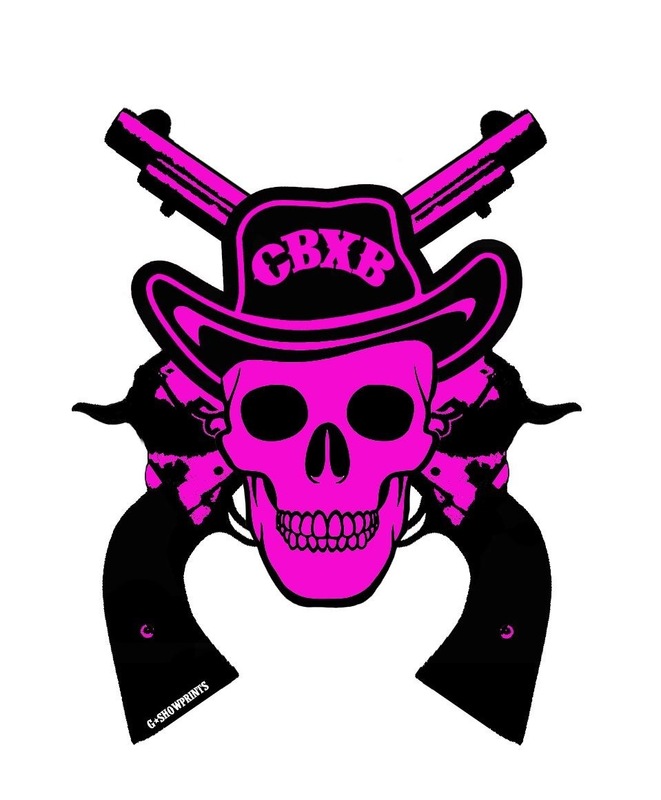 If only the orange skulls were pink…I could leave out all year! I invested in this green glitter (do you sense a theme here?) 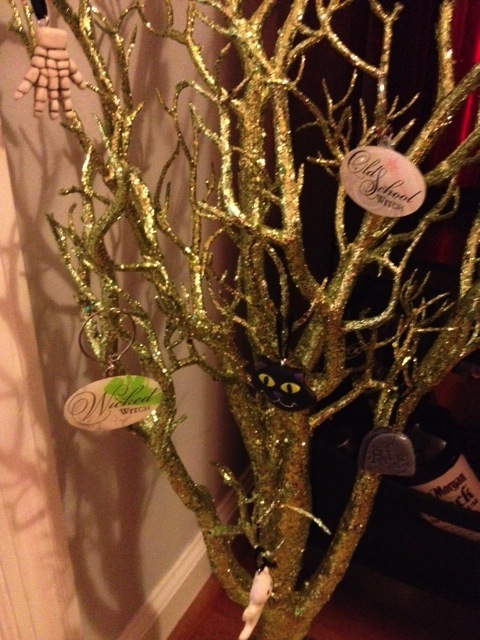 tree that I can use for multiple holidays (can’t wait to add pink decor to it for Christmas!). Switching out an existing picture frame with holiday decor is easy (as long as you have somewhere to stash the usual pic…which is almost always under my bed). 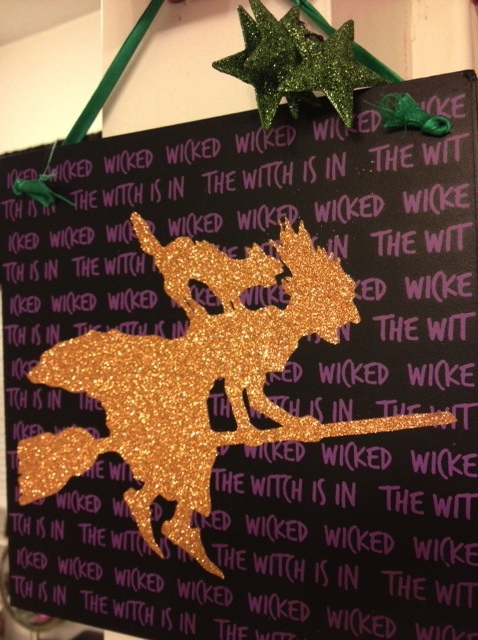 Swapped this glitter witch piece out with everyday crown decor in my bathroom. This was gifted to me by my sister but I think she most likely scored it at TJ Maxx. 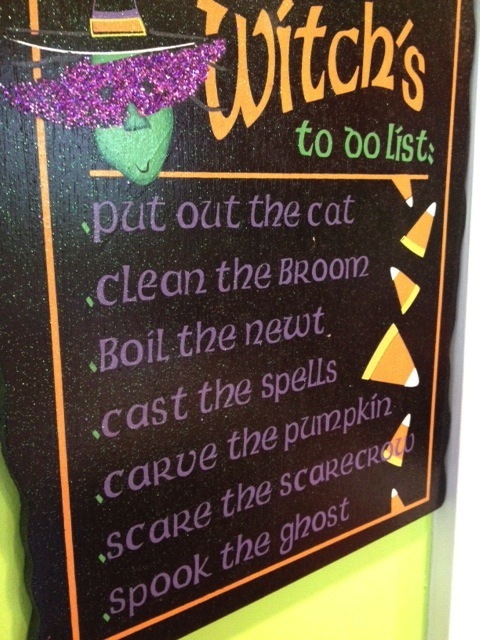 Helpful Halloween to-do tips (in case you forgot) replaces regular kitchen decor. 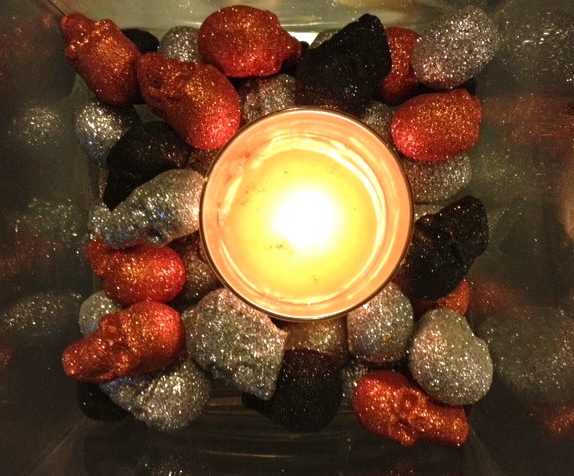 A cheap, easy way to spruce up for the holiday season. 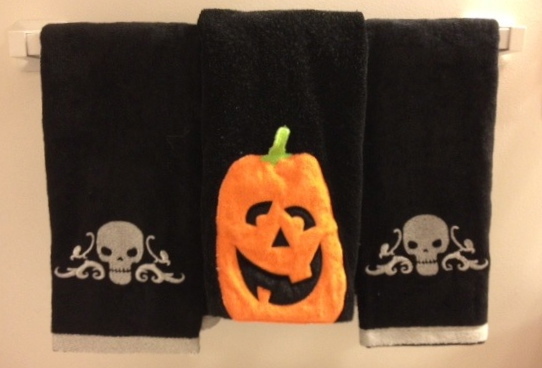 Hand towels, Target. 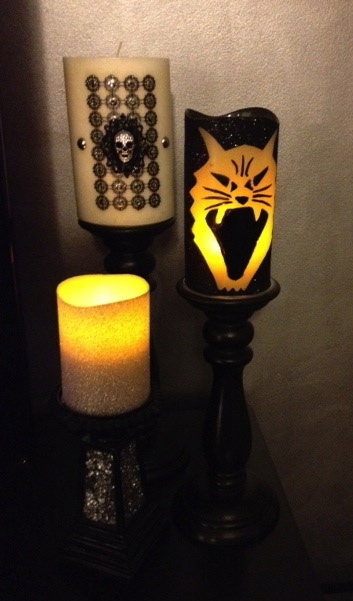 Candles are always a must for me (I mean, I do have a cat – don’t they go hand in hand?) 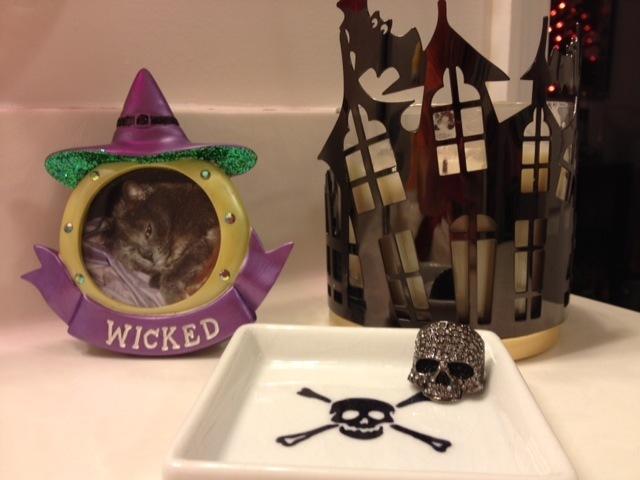 and this haunted house holder makes my vanity trio complete. Wicked frame, Hallmark. 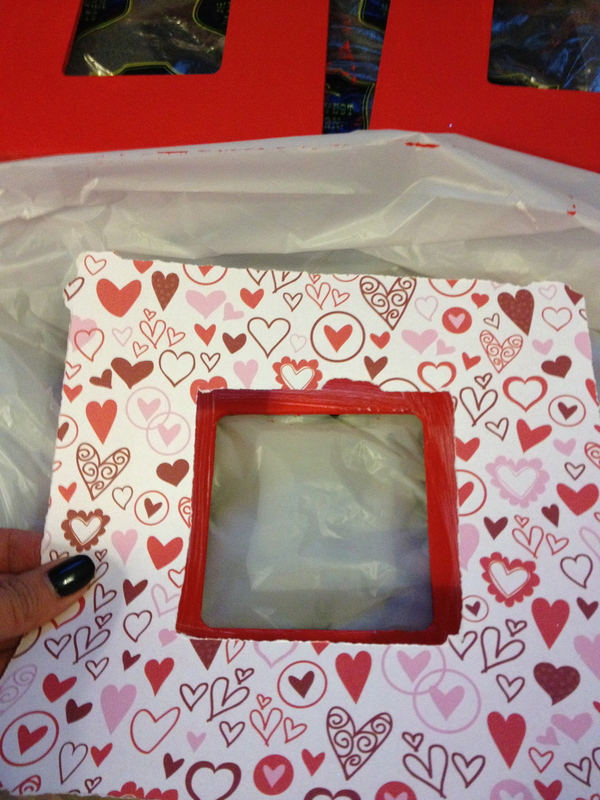 Candle holder, Bath & Body Works. Skull and crossbones jewelry plate, gift.